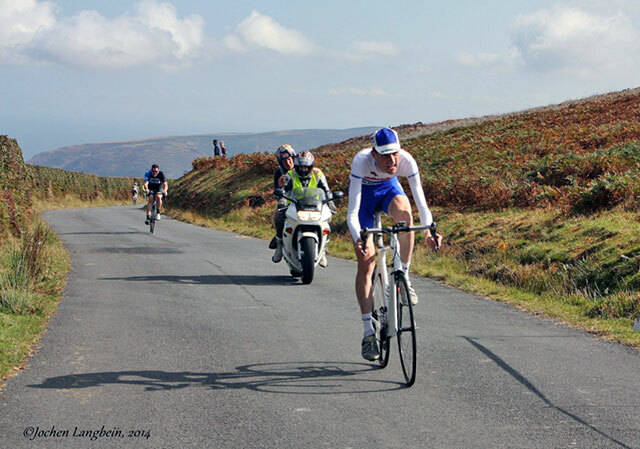 Today was the third edition of the Tanks Direct Porlock Hill climb organised by Minehead CC. 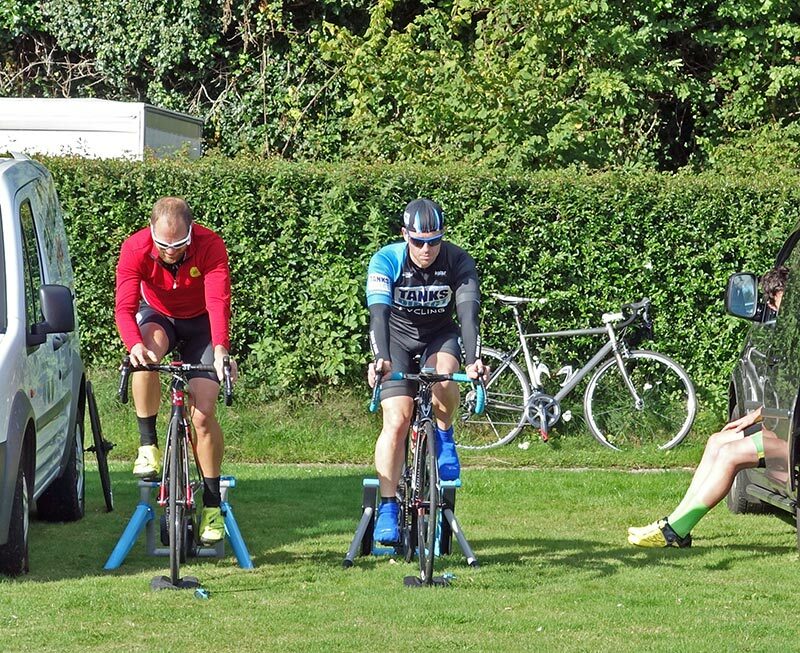 For the third year running, we had excellent weather (though slight tailwind headwind* at top made times a little slower than previous years.) * a long weekend! A good thing about the hill climb season is that it takes you to different parts of the country, you probably wouldn’t visit otherwise. 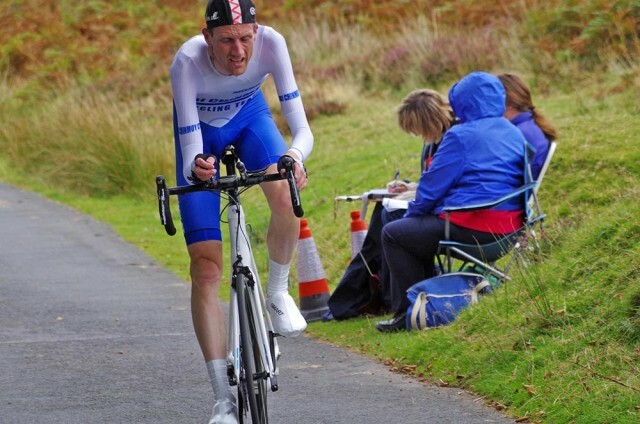 There aren’t too many hill climbs slotted in between steep moors and the sea. 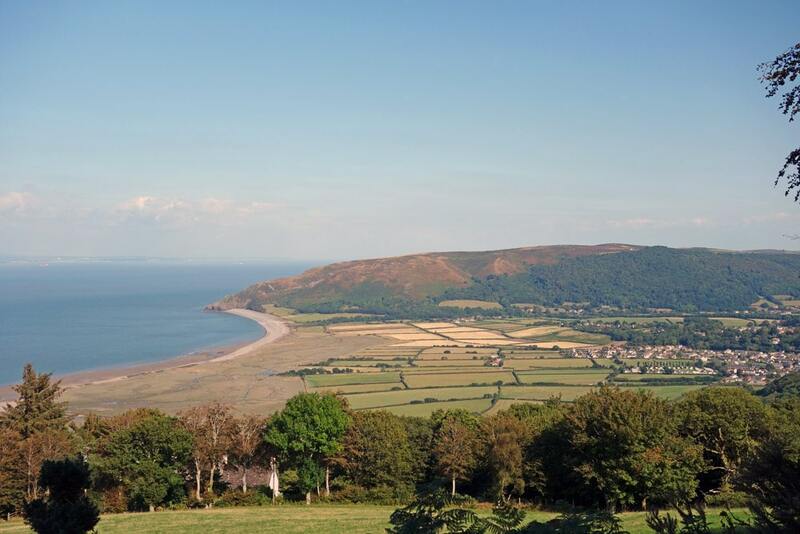 But, Porlock toll road has one of the best views (at least when descending). It’s not the only hill climb by the sea. Brighton Mitre CC is pretty close. Lancaster CC Jubilee Tower you can just about sea the Irish sea from a distance. Anyway, when racing, the view is rather irrelevant. But, the Porlock Toll road makes a good climb. Averaging 5.5% over 4 miles, it is a bit different from the majority of UK climbs. Steeper than the 3% of Long Hill and Cat & Fiddle, but steady all the way up. For a change you can try get into a rhythm as if you were on a very mini Alpine climb. The past two years, I’ve done the climb on just a road bike, but a forecast of slight headwind made me dig out some clip on tribars. I think the last time I used these was in National Hill Climb Championship 2011. Saturday was all day at the Sri Chinmoy 24 hour race in Tooting Bec. I’ve been for many years, and kind of like the routine of counting runners go around a 400m track. 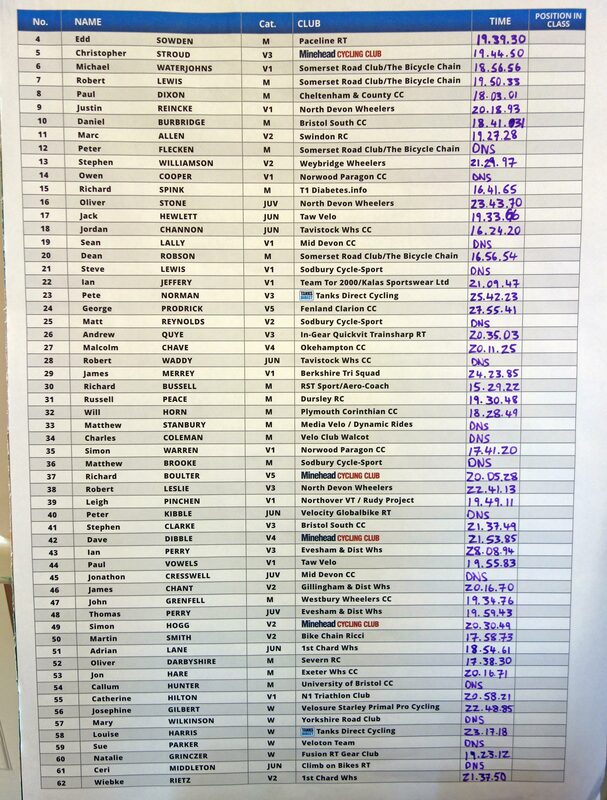 It was a shame I missed the Exeter Wheelers hill climb on Stoke Hill though – another closed road event run in conjunction, with also good prize list. But, on the upside I was well rested for today’s climb. Given I recently wrote an article on theory and practise of warm-up I was interested to see whether I would be able to follow my own advice. By my standards, it was pretty good, though there always seems a lot of messing around and everything takes much longer than you would expect. On the plus side I arrived 1 hour 45 minutes before my start time. That makes everything a little easier, especially when you need to spend 10 minutes trying to get your number into a Nopinz speed pocket. I still managed to forget my cap on the way to the start, but I borrowed one at the start from Simon Warren (100 climbs cap), who was racing earlier on. The race went pretty well, I thought I paced it quite well and felt in good shape. 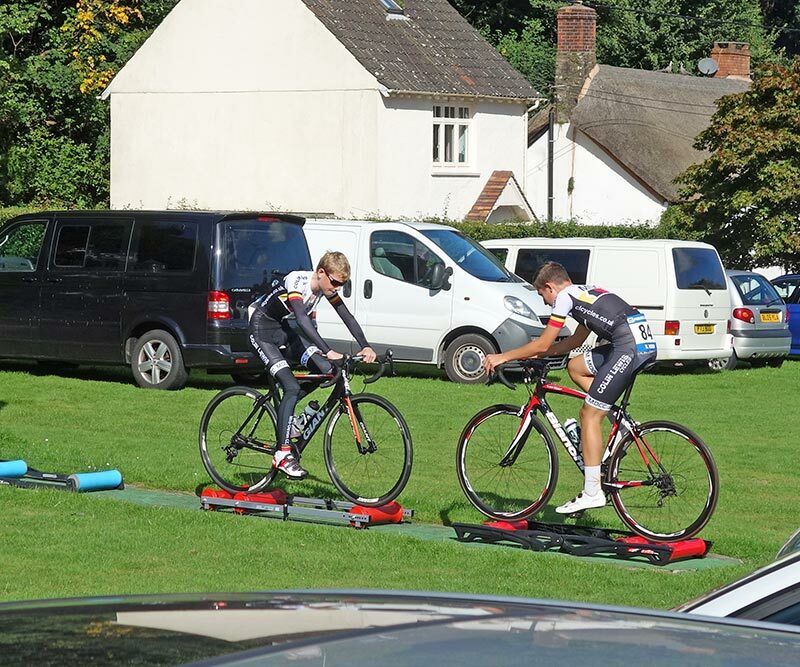 I don’t really ride on power – not least because my power meter readings are somewhat unreliable. I was just riding on feel trying to keep at the fine red line at an effort that can be maintained for 14 minutes. As you came out of the trees the headwind became stronger and it made the last section harder than previous years. I was grateful for count down of distance to go. Even though I’ve ridden before, it helped know how long you had to keep going. In the end it was very close. My time was 14.45. Dan Evans (Team Elite) 14.48. 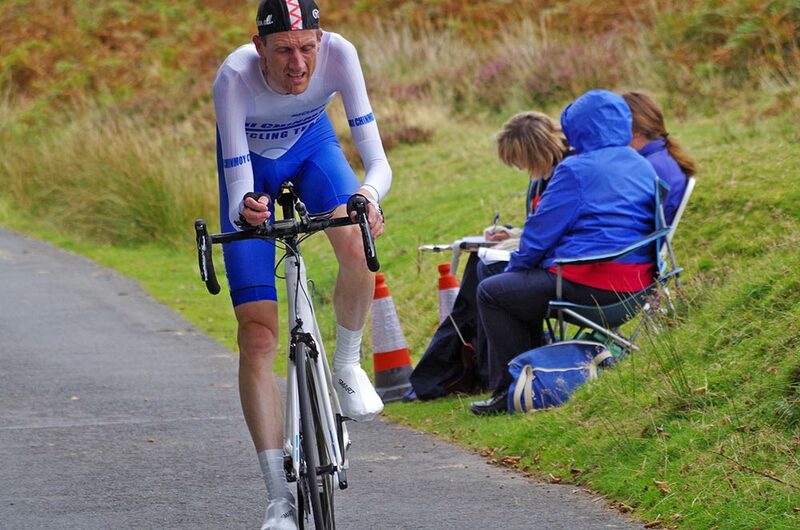 Third place was National 10 mile champion Richard Bussell 15.29 (RST Sport/AeroCoach) (A few weeks ago, Richard won the National 10 on his first attempt, including a TT bike that cost less than a £1,000. Maryka Sennema (Paceline RT) was first lady. Natalie Grinczer (Fusion RT) 2nd lady. 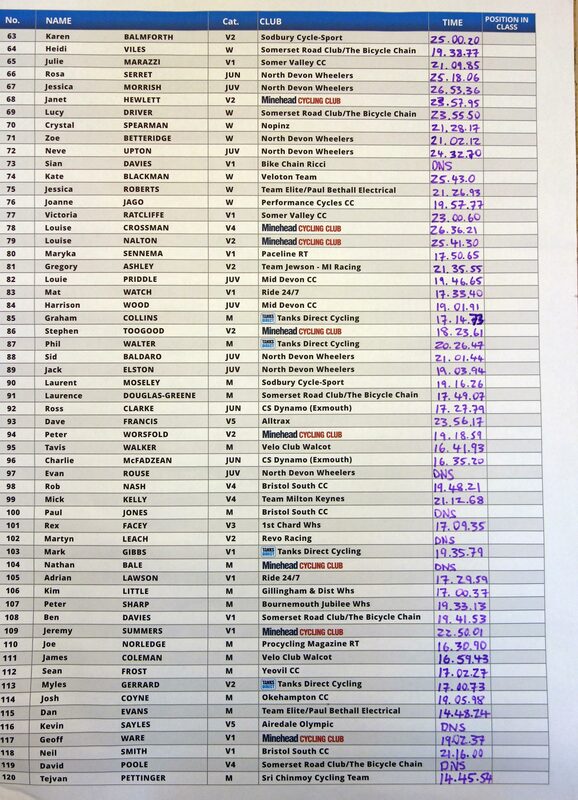 Jordan Channon (Tavistock Wheelers) was fourth overall and fastest junior with 16:24.20,. The best juvenile was Harrison Wood (Mid-Devon CC) with 19:01.91. Thanks as usual to Minehead CC, Porlock, sponsors TANKS DIRECT. Great event. Hope to be back next year. I may write a little more when not so jet lagged from busy weekend. 14.45 (381 watts, stages PM) light headwind. Great ride! I managed to get a picture of you and a couple of other late riders crossing the line after I’d completed my (very much slower) effort! My first hill climb and I loved it. A beautiful part of the country.